Mobile technology isn’t a new concept for construction, but over the past 10 years, construction sites have changed dramatically, putting a stronger emphasis than ever before on mobile technology. There are multiple factors that are driving mobile at construction sites: larger mobile workforces, demand from leadership, and the need to have information instantly available to all levels of an organization. Leveraging mobile technology helps get the job done faster and better, reducing overall risk and cost. How? Mobile technology allows us to capture and consume information for every person on the job site. We’ve broken it down into three categories: speed, control, and accuracy. Specifically in two areas: speed of work and speed of information (they go hand in hand). Construction sites are dynamic and constantly changing. As these changes occur information is created, information that other tasks are dependent on. The faster we can push this information to the contractors the faster they are able to complete their jobs. Mobile devices are used to capture these changes and to consume the updated information. Maintaining effective control of a job site requires you to have up-to-date information to make decisions and track progress. Understanding where you are is essential to know how close you are to the finish line. This type of thinking is causing executives to push new mobile tools into the workplace so that they can effectively capture the information they need to make decisions. These days budgets are being squeezed more than ever before so that our margins are stronger. When you mix this with the fact that competition is driving prices down, it creates a paradox. Mobile technology helps this scenario because it increases our accuracy, therefore reducing risk and unnecessary spending. When every contractor is empowered to share and see the latest information you’ll be able to avoid unforeseen mistakes and costs. According to JBKnowledge’s 2014 Construction Technology Report, 50.1% of construction professionals surveyed use a tablet for work purposes. Now, in 2016, we can expect this number to be closer to 60% and growing. Mobile technology is already a significant part of the construction site, but the impact of mobile will continue to grow, meaning that mobile will only be leveraged more in the future. We talk a lot about the cloud , but to refresh your memory the cloud is a network of servers, and each server has a different function. Some servers use computing power to run applications or “deliver a service”. A great example of a using the cloud is using FASTTAC; our customers do not have a need for local servers, instead, we take care of all of that heavy lifting for them. So why does the construction industry care about the cloud? Because the cloud can simplify your life and business significantly. Anytime we talk about making something simpler, we’re talking about saving time and increasing efficiency, equating to money saved. Ultimately the construction industry cares about the cloud because of exactly that reason, it saves money. How? There are many ways, but here are four great reasons to leverage the cloud to save money for your business! When we’re talking about construction, the last thing you’re thinking about is the amount of software and servers it takes to keep the business and operations executing efficiently. The reality is that it takes a lot of technology to keep a large construction operation going, and every time you implement new software you need to have the hardware and talent to support that software. Moving from physical servers and staff to the cloud means less time spent, more reliability, and a quicker roll out! Managers spend a lot of time tracking progress to ensure that the job is moving along. From tracking changes to the blueprints to controlling the budget, cloud-based software can take traditionally manual processes and streamline them. This type of software not only makes management easier, but it also can interpret that information into meaningful dashboards, giving us additional information to make high-impact decisions. Control access but also super-charge access. Physical documents and drawings are hard to control, but also hard to get. When using a cloud-based document management or drawing management system you can control who can access certain files, but also ensure that those who have access can see those files instantly. This is FASTTAC’s bread and butter. During the bidding phase of a project you’ve probably had a general contractor try to email a specialty contractor an updated blueprint, but the size of the file makes it nearly impossible. Moving files of this size can be painful, but dealing with out of date drawings is even more painful. When drawings are being served from the cloud, not only can all of your contractors easily access the drawing, but they can also see changes versions of the drawing as well as markups that have been made. As the days of handling projects with fine old brainpower and foolscaps transformed into days of shoeboxes and spreadsheets, people began to realize that spreadsheets could, in fact, present them with an improved way of carrying out projects. Nowadays we are going through a comparable transition from shoeboxes and spreadsheets to even superior ways of undertaking projects with dedicated, specialized project documentation software. Nevertheless, human nature indicates that we are quite resistant to change, and this is entirely comprehensible with a decision to spend in construction management software, since it is often a significant investment. With project documentation software, you have a core repository for all your project data, rather than spreadsheets spread over different workers’ local hard disks. Two, you can gain access to the central repository from anyplace with an internet access, meaning if you’ve offices in different places, or workers wanting to access files from the site, they’re able to all access the same data. In addition, a central database means your employees work more efficiently as each one has accessibility to most drawing management data. Also, project documentation software commonly provides communication tools which can help teams in discussing challenges in real-time. The advantage is that each member is usually kept updated, quickly addressing issues as they occur. With a central repository comes better control over all of your project documents. They’re easily retrievable in case of a claim or dispute and are never misplaced or lost. There is also greater personal accountability as each and every user has an account (login), and you may then quickly monitor who created, approved or modified certain documents. Construction document management software allows you integrate all project information with your own accounting system. What this means is there is no wasted time reproducing data from your project crew to the accounting unit. With construction document management software, all your procedures become consistent across the company. Everyone enters similarly required data when generating new documents, and all the reports for every single document feels and looks the same and provides the same information. That time when different employees created different document templates is long gone, and this offers your firm and project team better unity and consistency if they’re all operating from the same data/info presented in a similar manner. Before investing in project documentation software, it is crucial to assess the requirements of your organization. Knowing precisely which features will be required will help to simplify the decision-making process. Properly creating a list of characteristics and functions in terms of required and optional will assist you in deciding which software most closely fits the needs of the firm. Remove communication problems, eliminate costly mistakes and always keep your entire team up-to-date on your project by using the construction documentation software from FASTTAC. Whether you’re in the field or in the office, our easy-to-use project management software keeps everyone on the same page on the project’s progress. Stop working with old drawings and poor project management and start taking control of your construction site with help from FASTTAC. Are you looking for a better way, through either blueprint software or a blueprint app, to manage your blueprints? As an architect or engineer, you understand the importance of your blueprints to the success of your building project. Having access to architectural project management software can help you better manage your blueprints and gain greater control over your building projects. Proper blueprint management helps improve efficiencies on-site and reduce costs. Access to blueprint software by your contractors means less time spent either communicating with you on the phone (or online) for important requirements and changes and keeps a project moving forward. Whether the blueprints you as an architect or engineer use are for a new building construction, tenant improvement project or other related activity, you should understand how vital blueprint management software is to you and the steps you should take to make it a part of your business solutions. New construction, renovations, tenant improvements and other building activities require the creation and filing ofblueprints. Construction project documents are necessary to meet filing requirements for any federal, state or local building projects of all size and scope. The maintenance of your blueprints may also be required for legal claims or defenses that may arise. It is best to know how to best share your documents with those requiring access for easy access and utilization. An example of how important it is to manage your blueprints can be found in tenant improvement activities. 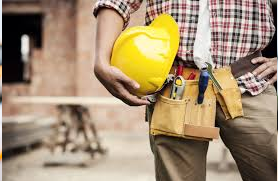 Your contractors are delivered the blueprints related to the build-out, however, need access to the legacy plans in order todocument changes and make important notations for the facility manager, maintenance workers and emergency responders such as fire and police. Such changes can be seamlessly documented through the use of an effective IT solution that integrates the old with the new, providing your team with the important change information needed to function. Blueprint software takes advantage of the technology available today in order to make your like easier. This includes provisions for storage, communication, collaboration and sharing. The advent of mobile-based apps takes the ability to create a central repository of your required blueprints and other construction related documents. This makes collaboration easy among the various stakeholders requiring access, all at the tip of their fingertips. Whether the solution for the management of your blueprints is cloud-based or maintained on your servers, providing access to these documents lessens the amount of time needed to hand courier them from location to location. Taking the necessary steps to employ a blueprint software solution for you is as easy as making the decision to do so. You simply need to take the affirmative steps to investigate the solutions available to you and how they fit your business needs. Create a checklist of the requirements you need in blueprint software, including the requirements of your stakeholders who will access these critical documents. Take action to put in place the solution that allows you to better manage your blueprints. Don’t let poor documentation management derail your project, change the way you access and store all your important paperwork, blueprints and markups with FASTTAC. Our construction documentation software makes access to critical construction documentation easier and faster than ever before. No matter if you’re on site, in the office or across the country, FASTTAC’s software keeps you on top of all your documentation changes and markups. As a project manager or contractor, your profitability is directly tied to your productivity. According to McKinsey & Company, a research and business management consulting firm, the investment value in infrastructure projects worldwide will more than double from $6 trillion in 2012 to $13 trillion by the year 2030. The use of project coordination software, construction apps, and project document management software are just some of the tools that can aid your efforts to improve your bottom line. There are at least three project management solutions to consider that will have a discernible impact on your site’s productivity. These solutions include tools designed to improve the planning, management, and organization of your projects, mobile-based apps and project document management software to manage the essential paperwork associated with your project. Industry specific project management software is indispensable in the coordination of the elements related to the successful completion of your construction project. One important benefit of project coordination software is the streamlining of standardization of the processes related to construction. This allows others to quickly assess progress, move required processes and keep a client abreast of the work being done to complete the project on time and on or near budget. With more than half of Americans relying on a smartphone or tablet, according to a recent Pew Research Internet Project report, it is reasonable to assume that more and more construction sites also rely on mobile technology in order to complete required documents or management essential elements of the construction process. Mobile-based construction apps, therefore, are an important complement to the use of mobile technology for the management of your site project. 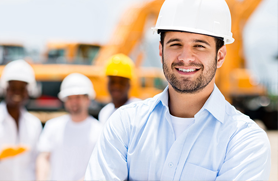 Construction apps allow you, your supervisors and other site workers to effectively communicate with each other, provide real-time updates and status reports and cut down on the amount of time needed to transfer paper-based data into an electronic form in order to complete required documents. The management of all of your construction related documents is easily accomplished through the use of project document management software. Project document management software allows you to upload the specifics of your project, link and index required documents and extract the required data from these documents to file oversight reports, manage timelines and determine productivity. This software, coupled with mobile construction apps and coordination software, gives you all of the tools you need to properly document, manage and complete your construction project. Keep your entire team on the same page whether they are on or off the construction site with help from FASTTAC. Our construction collaboration software provides construction companies with tech level communication for improved productivity, management and workflow across the board. If you are looking for a way to improve your workflow, remove communication problems and lower your overall costs, contact FASTTAC today to schedule your live demo of our construction project collaboration software. Managing the various documents related to your construction project is important. These documents provide you with the written and graphical instructions you need to properly manage your project, meet timetables and stay in compliance with various local, state and federal building codes and requirements. Here is a look at the project document management process and the types of construction document management software you should consider as part of your project management. The physical form of the building being constructed through the design placed in construction documents. The construction document is the heart and soul of the project being built. The success of your construction (or failure) lies in properly managed project documents. Project document management refers to the process you use to keep the different documents related to your project under control. 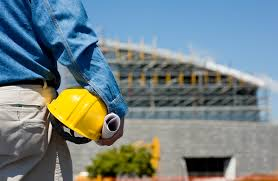 The construction documents that you use comprise the legal, procedural and development related information. A process of maintaining this information in an orderly manner advances the design process and allows required communications to take place among your different project stakeholders (i.e. subcontractors, inspectors, client, etc.). Construction documents are a vital and important part of the building process. Construction documents represent any and all required design changes that need to be implemented to maintain compliance with building codes. A system for managing these documents in a manner that is efficient and sensible only helps you when communicating changes or determining site progress. These drawings and documents communicate the correct building specifications that you need to implement during the building process. They are the direct input from the architect, showing their vision, innovative design and experience in ensuring that the building is inhabitable. One of the greatest benefits associated with construction document management software is how its use streamlines the necessary communications that take place at the construction site. Better communication is essential to increasing efficiency at the construction site and lower costs associated with building. With the use of construction document management software, you can ensure your team members are all on the same page without the need to check and verify the latest version by calling on other staff to validate the documents or possibly meet face-to-face. The possession of a simple internet enabled device, such as an iPad or tablet computer, makes communications easy to accomplish, in real-time. Give your team the tools they need to better manage documentation and streamline communication every step of the way with help from FASTTAC. Our construction document management software empowers your team, providing everyone involved with your project a simple solution to keep up with the latest document updates and workflows for maximum efficiency whether they are on or off the construction site. Stop letting poor document management deter your project and start changing the way you access your construction content and contact FASTTAC today! Long ago the process of building something involved the creation of designs and blueprints, filing duplicate copies with the local building inspector and the maintenance of boxes or drawers full of invoices, work orders, change orders and other documentation. This way of doing things may have been adequate for many small builders but as more and more requirements for building design and safety came about, the need for a more efficient and better way of communicating information among construction project stakeholders became a necessity. The changes that have taken place in construction through the availability of technology has allowed you to build better, safer buildings faster and at a lower cost than in the past. Here is a discussion of the evolution of the tools and technology used in construction and how the development of technology enables collaboration among building stakeholders (i.e. architects, designers, site managers and contractors). The concept of project management became synonymous with construction management beginning in the 1950s. Larger contractors working on federal projects employed project management techniques in order to compete for large dollar projects. These techniques involve avoiding problems that may arise during the course of the project, establishing new techniques, achieving objectives in an efficient and fast manner and managing the complexities of group dynamics. The concept of project management has been defined for construction project management in terms of the following: requirements; forward thinking; communications and evaluation. The use of these concepts motivates those members of your team and allows group thinking toward the proper completion of the project. Communication allows construction project stakeholders to discuss required construction documents and ensure that all participants in the project are well informed and up-to-date on important requirements. Technology helps link all of the aspects of project management into a seamless flow, allowing changes and updates to be communicated quickly and efficiently through the use of everyday devices we all have access to in our daily lives. Tools that are available for you to consider as part of your construction management include apps designed for mobile devices such as the iPad or smartphones. In addition to apps, other tools that can provide you with the tools needed to complete your project on time and on budget include the use of USB flash drives to store information that can be easily used by multiple users on the job site, Dropbox, a file sharing facility that has project management capabilities built in, and construction documents (CDs) managed by construction document software. All of these solutions cause the users of the technology to be trained in their use and to manage most of their own data. This can be a challenge for the majority of users and distract them from their primary job functions. This must be overcome to permit these technologies to be adopted. The advent of technology has ushered in a different way in which construction projects are completed and represent a catalyst for future of how buildings are built. The savvy team understands that adopting the technology is absolutely necessary, it also understands that selecting the right technology for the team is absolutely essential for technology to be used effectively. 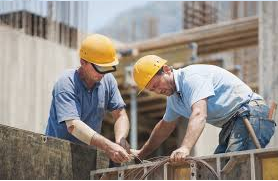 Change the way your construction project stakeholders stay connected with help from FASTTAC. Our easy-to-use construction collaboration software, which simplifies the processes mentioned above and fosters faster adoption, creates a streamlined channel of communication that keeps everyone on the same page. Give your crew the most powerful tool they can have and request your free demo of the construction collaboration software from FASTTAC today. Time is money, so the longer a construction project takes, the more money is spent in the long run. On the flip side, the more time that can be shaved off of a project, the more money can be saved. It is for this reason that many contractors are turning to cloud-based construction project management software. This software can be used for projects of all sizes, and the real-time reporting features allow you to keep an eye out for mistakes, as well as view progress from a multitude of performance indicators. Before a project is officially underway, cloud-based construction project management software can be used to create a timetable with far less human error. This is because the software is designed in a manner that makes it easier to assess the project as a whole, as well as each individual phase of the project. 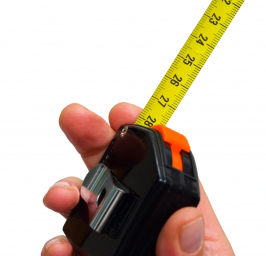 This allows contractors the ability to create more accurate estimates for both time and cost. This is especially useful for projects that must comply with strict local building codes and noise ordinances. Even with proper planning and preparation, there are some factors that are simply out of your control – such as weather-related construction delays. Utilizing iPad construction apps allows you and your team to share real-time updates, so that any changes can be shared with everyone who needs to know. This includes how to reprioritize when bad weather slows you down, addressing any other unexpected sources of delay, and even how to adjust scheduling when you are ahead of schedule. As project manager, you are likely to have multiple construction projects that you are managing at once – or you simply may not be on site all hours of the day. By turning to iPad construction apps you can continue to manage workflow, and communicate directly with your team from anywhere with internet access. This allows you to make informed decisions on the go, minimizing costly mistakes and keeping connected no matter where you are. Whether speaking of your labor line or your supplies, your cloud-based construction project management software allows you to create accurate projections and keep your budget up-to-date at all times. Its built-in features allow you to easily uncover areas of opportunity – helping to minimize your cost and maximize your efficiency. Construction apps are not only useful for the project manager, but for the team as a whole. While everyone is sure to know what they are responsible for, sometimes the timeline falls by the wayside. By turning to shared software, project goals are clearly defined, changes and updates are clearly communicated, and progress is tracked in a manner that makes it easy for everyone to see. In other words, accountability is increased for every member of your team. Even if your construction company is fairly small, project management software can help you to keep each of your projects organized. It is also a great tool for construction companies who are experiencing growth, and want to ensure that their growth does not affect their attention to detail. For the features you want and the functionality you need to keep costs down, add FASTTAC’s construction software to your team’s toolbox. Our easy-to-use, quick-to-update project management software ensures your team stays on the same page, improving efficiency and decreasing costs from start to finish. Request your free demo today and see for yourself all that FASTTAC can do! If you remember the days before cloud-based construction management software, FRI’s can be contentious. Often they can feel like a contract in and of themselves, adding numerous details that can feel like roadblocks instead of legitimate help on a project. Thanks to modern drawing management and markup software, however, all of this has changed. The nature of virtualization that can be done with modern cloud-based construction software can change what might have been a more adversarial relationship in the past to a constructive, helpful one now making Requests for Information not just a contractual necessity, but a useful guideline to improve visual representation before construction work begins or during specific changes. Construction management in the cloud is more than just project documentation software; there are ways to do everything from managing remote employees to sharing blueprints and schematics directly in the cloud for real-time communication with clients, vendors, contractors, and anyone else you need on the job. Whereas before the cloud, RFI’s might have felt like they were a sudden curve ball thrown into a project, now, with the ability for entities to communicate in the cloud, construction crews can work in real time to make sure that everything looks and works the way their clients want the first time. Cloud construction software includes management software, which allows you to react to changes with your crews in real-time. Some software can help you accurately estimate increased cost for jobs, to make sure that it can be laid out clearly what’s needed to make sure the project is completed according to the customers’ wishes. With this in mind, even the nature of the RFI itself may change as it becomes more a consultative tool than anything else. With construction work being handled in the cloud, project delays will eventually become a thing of the past as increased communication between everyone involved in project management becomes basically seamless. And that means fewer delays, fewer miscommunications, better integration of a project management team and ultimately a more efficiently completed final project. With the advent of the cloud, the days of project management snafus are ultimately behind us. As cloud construction management has matured, companies are now better connected than ever and able to accomplish more remotely than was ever accomplished in dozens of meetings. The power of connectivity has changed everything in the construction industry, and this is a net positive for both builders and their clients. After all, with better communication and real-time access, companies will find that they can make the changes they need that will be successful for their businesses on the spot. More efficient construction naturally follows, and in the end, that’s the ultimate goal: to get construction completed on time, on budget, and with more satisfied clients overall. Keep every member of your team up to date and good to go with help from the construction collaboration software from FASTTAC. Our cloud-based construction management capabilities allow you to access your drawings anytime and anywhere, instantly sharing updates with your team whether on site or across the country. Start rethinking the way you communicate and collaborate and request a free demo of FASTTAC’s construction management software today. 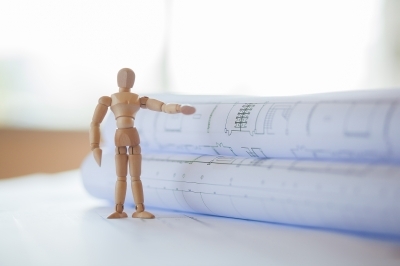 Few of us truly understand all the obstacles that handling construction documentation can pose, but those who deal with blueprints and construction permits on a daily basis know all too well what a hassle it can be, especially with when the winds whip up and destroy an expensive set of blueprints that are crucial to the project. Project managers have to juggle many forms of documentation to keep a job going smoothly, which can become overwhelming. Keeping track of every piece of paper on a job site can be an absolute nightmare. Often the conditions on the site can wreak havoc on paperwork, wind, rain and snow can destroy it, and sun can fade the print, making it impossible to read. Luckily, today there is a better way to handle all the documentation through the use of construction document management software. As we become immersed in the electronics age, most of what used to be done with pen and ink has now become computerized. Project documentation management software for construction is becoming the norm. With all the information centralized in a tablet, it is easier than ever to read blueprints and present those all-important permits to any official that may want to see them and to be able to present clients with all the documentation at the touch of a button. Now all-important documents are centralized in one easy location, and project managers can simply access them all using a tablet or laptop on the construction site. Construction contracts and purchase orders — Each project starts out the same, with a contract, and what is in this contract is vitally important. This document has everything that has been discussed and agreed upon by the construction company and is needed in case confusion should occur during the project. This document is used to settle any disputes that may arise. Purchase orders are equally important and easily lost. Saving them to an electronic database preserves them, and allows the project manager to produce them easily. Bid information — Again, a key document that helps the contractor keep costs in line. The bid contains information regarding subcontractor and supplier bids, among other important bid documentation. Not having the bid information shows a lack of professionalism and can undermine the entire project. Project Calendars — Each day of the project weather conditions are recorded along with a summary of activities that occurred on that given day. Information included will include items such as finding issues with the project, deliveries made, and what subcontractors were on the job, among other information vital to the project. Being able to enter this information using construction document management software helps everyone involved in the project, and provides an accurate record of job progress. These examples are just a sampling of the many documents project managers must keep track of in order to keep the job running smoothly, but project managers also have other responsibilities that require their time and attention, they simply don’t have the time needed to search through paperwork and deal with it on a daily basis. 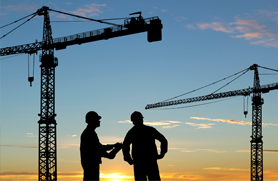 Project documentation management software for construction is a total game changer. Once a project manager experiences using construction management documentation software, they wonder how they ever got along without it. In the coming years, it may no longer be an option, but a requirement to use project information management software for construction jobs. Change the way you access content and documents on or off the construction site with help from FASTTAC. Our documentation management software delivers rapid access to all of your important documents at the push of a button. Say goodbye to working with old drawings and poorly organized files, and start streamlining your construction site with help from FASTTAC.